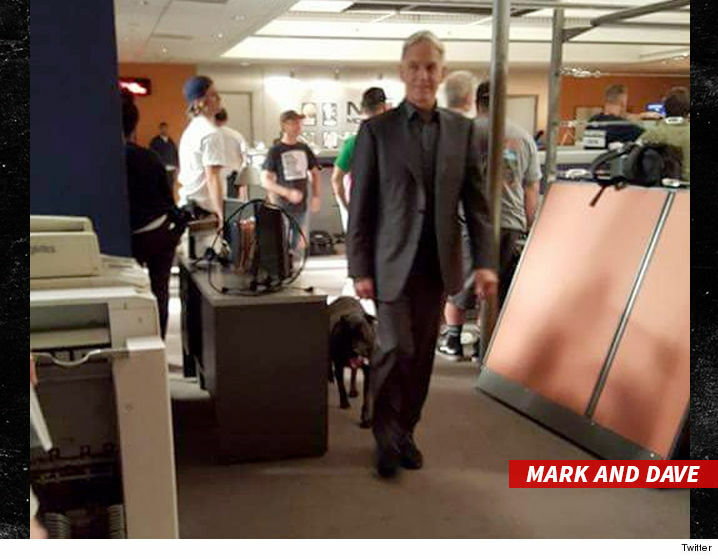 'NCIS' star Mark Harmon has a dog that attacked a crew member on set, but the dog has a pretty solid defense. Sources connected with production tell TMZ, Harmon's dog is a 3-year-old PIT BULL MIX that he rescued as a pup. His name is Dave. Mark frequently brought Dave to the set, which was a dog-friendly environment. Other cast and crew members brought their dogs as well. We're told a week ago one of the crew members was roughhousing with Dave ... something he did a lot, when the pooch became scared and attacked. Our sources say the crew member needed 16 stitches to close the wounds, but returned to the set and is fine. As for Dave, he hasn't been back to the set, but he's fine and, as we said, has a plausible defense. A plausible defense? Really? Do you have any proof? Any videos, snap chats, instagrams, facebook recordings, periscopes, any visual evidence of this "rough housing"? I have an even better defense. It's a pit bull. @ Anon, that was my first thought too. His best defense, and only one, pit bull. It's what they do.